This dynamic franchise opportunity focuses on a tremendous growth industry by providing non-medical care to the elderly, injured, disabled and those who could use a helping hand. As the population ages, the need for non-medical homecare increases, making this a fast growing and lucrative industry. Home health care is currently an estimated $55 billion industry which, based on demographics, will continue to grow and expand. Assisting Hands Home Care® grew out of a desire to provide seniors, and others needing non-medical assistance at home, with the option that most people prefer – to remain independent, safe and comfortable in their own homes. In-home care services range from companionship, meal preparation, medication reminders, shopping and errands, light housekeeping and laundry, to help with bathing and dressing. There are currently more than 100 Assisting Hands® franchises. The Cape Cod Franchise territory is are now available. Cape Cod is an area ripe for this industry. More than one-third of year-round dwellers on the Cape are considered a “senior” or “elderly” citizen. 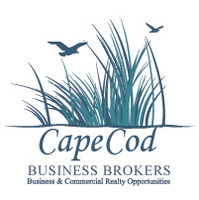 Cape Cod is a premier retirement community, with nearly one-third of households reporting that all adults are “retired.” There are additional territories available for the South Coast and areas in Eastern and Central Massachusetts. Franchisee’s will be provided with wide-ranging levels of training and assistance, as well as ongoing support. The initial franchise fee is $38,500. A new franchisee should expect to need an additional $30,000 to $90,000 in funds to have the business up and running (this amount includes sufficient working capital to support the business in its start-up phase). To be eligible for consideration as a franchisee, the candidate should have a net worth of at least $300,000, liquid capital (cash and/or financing) of $100,000 and experience in marketing, sales, IT, management or other professional discipline.